Palasari Reservoir Bali offers a view of tranquil and beautiful scene with backdrop setting of trees and green foliage, Bali blue mountains, alluring hills landscape and dramatic sky. Palasari Dam was built in April 1986 until May 1989. The dam has the inundation area of 100.00 hectares with a volume of 8,000,000.00 m3 of water reservoirs and irrigates the irrigation area in the Jembrana area of 1,300.00 hectares. 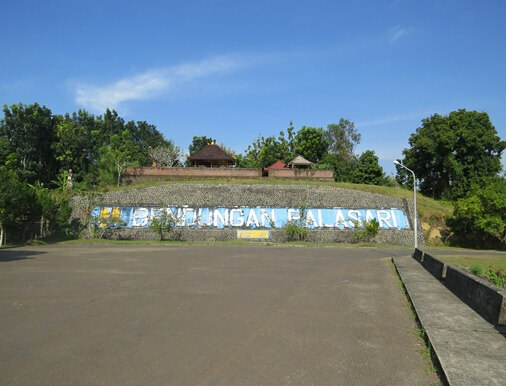 This broad water storage is located at Dusun Palasari (smaller than village) in the Village of Ekasari, District of Melaya, Jembrana Regency, Bali. Palasari dam is located next to the reservoir. The construction of the dam is intended for irrigation of agricultural land in the Jembrana Regency and flood control. 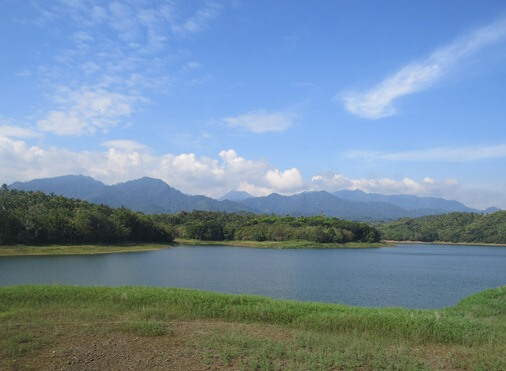 The high rainfall in the rainy season is collected in this reservoir to minimize the impact of flooding in the downstream areas. Large amounts of water will be release during the dry season so that agricultural land water supply still remains and continuous. Dams can produce a block for migrating fish and trapping them in one area. The fish contained in these dams such as tilapia fish, carp, catfish, capers, shrimp, etc. Palasari reservoir is also a habitat for various water birds. The existence of Palasari reservoir and the dam also affect micro-climatic conditions. This large man made water storage may increase humidity and reducing extreme temperature. 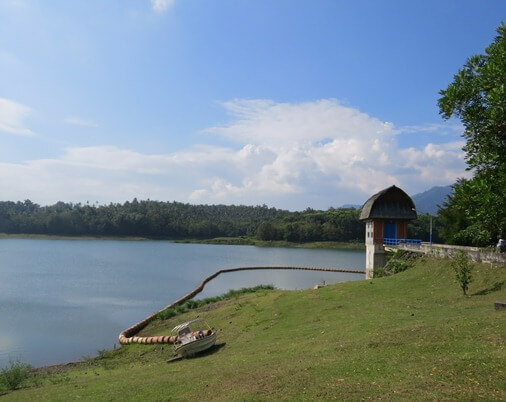 In addition, this reservoir also functioned as a tourist spot to enjoy the panoramic beauty. 1. Pura Rambut Siwi Temple.